It is with great sadness that the family of the late Shirley May White announce her passing at the Sir Thomas Roddick Hospital on Saturday, January 19th at the age of 87 years. Leaving to mourn with fond and loving memories are her three sons: Derek (Gerri) of Doyles, Bernie (Trudy) of Enfield, N.S., John (Cathy) of Burlington, ON; five daughters: Marjorie (David) Arnott of Tillsonburg, ON, Sylvia (Ronnie) Hayden of Stephenville, Marlene Fowlow of Stephenville, Esther (Kevin) Dollard of Stephenville, Mary (Jim) Thomson of Stratford, ON; one brother Fred of Irishtown; five sisters: Eva Wight of Deer Lake, Elizabeth Dennis of Deer Lake, Ada (Calvin) Goosney of Qualicum Beach, BC, Doris Snow of Kippens, Ruby (Jim) Tomeke of St. Paul, Minn.; 18 grandchildren; 26 great-grandchildren and a large circle of relatives and friends. She was predeceased by her parents Jean and Arthur Dennis; husband Bernard; grandson Jason White; brothers Arthur, Don, Chris; sisters Dorothy, Joan, Sandra and a large circle of relatives and friends. Visitation will take place at Russell’s Funeral Home, 57 Prince Rupert Drive, Stephenville on Monday, January 21st from 2-4 and 7-9 pm. Funeral service will take place on Tuesday, January 22nd at St. Stephen’s Parish, West St., Stephenville at 10 am with interment to follow at the Hillside Interfaith Cemetery on the Hansen Highway. 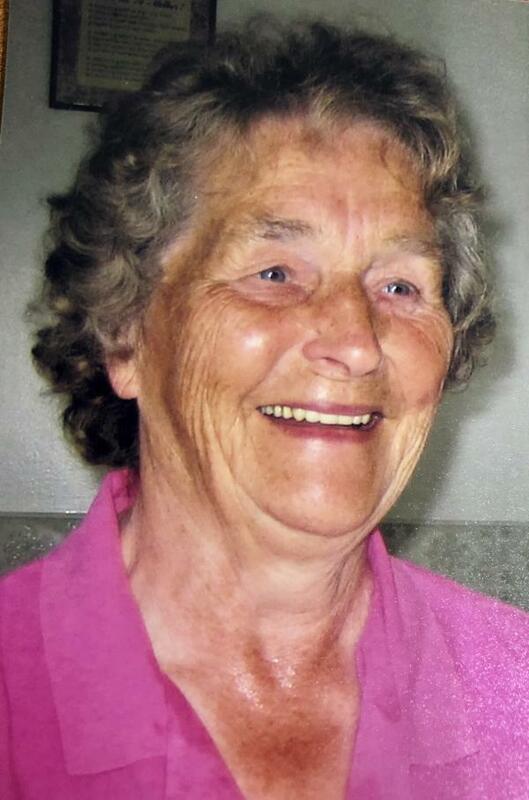 In lieu of flowers, donations in Shirley’s memory may be made to the Heart & Stroke Foundation.